High tax rates are a danger to economic activity in the country, Yannis Stournaras, the Bank of Greece’s governor said on Tuesday. In a speech at the Greek Shipowners’ Union, the central banker said that despite positive estimates over the country’s economic outlook there were still risks that must be resolved, such as the larger-than-expected negative impact of high tax rates on economic activity and uncertainty over funding conditions of the Greek state after completion of the current bailout programme. 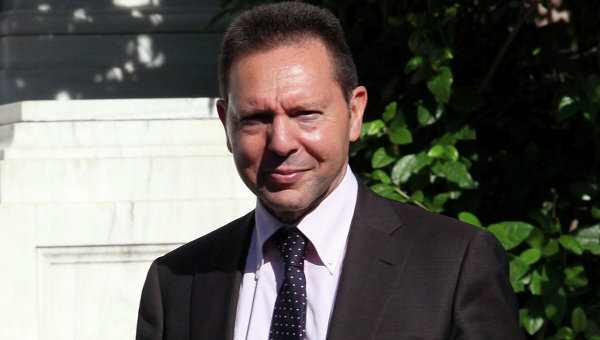 Referring to the contribution of shipping to the Greek economy, Stournaras stressed that shipping inflows in the balance of payments were on a decline since the second half of 2015. He attributed this decline primarily to the introduction of capital controls in the country. More specifically, receipts from sea transport services accounted for 23 pct of total receipts of the services’ balance and covered 35 pct of the trade deficit, while net receipts accounted for 29 pct of the surplus in the services balance. According to available data for the January-September period, 2017 will record a partial recovery to pre-2015 condition. The central banker said that a positive economic trend could improve further because of an expected loosening of capital controls and higher international shipping freight rates. He added that a voluntary contribution of the shipping community to state coffers covered a five-year period (2014-2018) with additional revenues for 2018 estimated at 107 million euros. Stournaras said that Greek authorities must promptly complete a fourth (and last) review of the current programme to allow Greece to tap international capital markets on sustainable terms after the end of the current programme in August 2018 and to significantly improve the country’s credit rating. He added that European partners, beyond specifying medium-term debt relief measures, must also clarify the support to be offered to the Greek economy after the completion of the current programme.